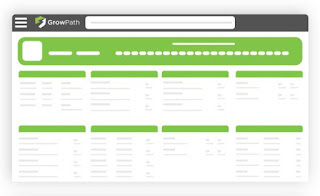 DURHAM, N.C. -- Legal CRM software company, GrowPath, was issued six new patents during the first week in January—a company record—and, according to founder Eric Sanchez, a new feat in their industry. This brings the company's total number of patents to ten, and they still have 12 more patents pending. "To my knowledge, no other CRM software currently has this many (if any) patents to their name," said Sanchez, "which include both utility patents and applications, and the recently granted design patents." Sanchez's innovative and creative approach to process and firm management formed the basis for the inventions reflected in the patents. Even now, the GrowPath team continues to build a product incorporating innovative technology. To date, GrowPath has seven design patents and three utility patents to its name. The three previously-granted utility patents focus on a unique two-factor authentication process and data obfuscation that enhance a firm's cybersecurity, as well as a logic tool that allows users to create their own data search criteria without the need for hard coding. These most-recently issued design patents were the result of the work of Sanchez and other members of the team, including Tara Williams, Vice President at GrowPath, and attorney-shareholder at the Law Offices of James Scott Farrin. The design patents reflect "ornamental features" in the display of case information. When asked what inspired her contribution to the inventions, Williams said she saw an opportunity for creating smoother navigation in case management and intake software, especially from a visual perspective. Williams said, "I am so excited by what we have accomplished and what these most recent design applications will do to enhance case management for law firms. The patents grew out of real-life usage and law firm struggles to find better ways to be effective and efficient." Sanchez believes GrowPath has the power to transform law firm workflows because of the legal origins and expertise of those who developed it. "There are few people with more knowledge about effective case management than Tara. Her drive to create a user experience that is simultaneously user-friendly and sophisticated is a huge driver of our success," Sanchez said. GrowPath, headquartered in Durham, North Carolina, offers best-in-class legal intake and case management software, available separately or in one combined product. It was built by one of largest and most successful plaintiffs' firms in the country, the Law Offices of James Scott Farrin. GrowPath is committed to innovating continuously to provide law firms a better, more efficient experience, as evidenced by its portfolio of patented features.